Do you have a quirky side? Are you a trend setter? Well this necklace is just the item for you! Whimsical, fun and charming! This re-purposed necktie is sewn into a necklace with a button closure. Measuring 30" around this necklace will go nicely with a variety of outfits. 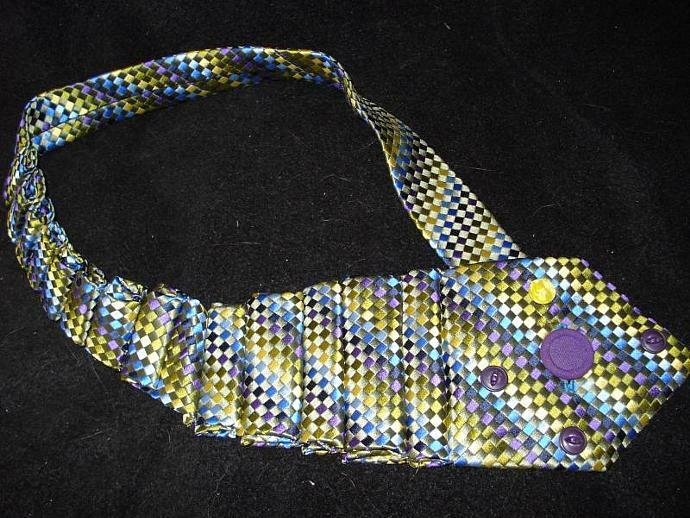 Pleated tie in greens, blues, purple and yellow with 1" Purple button, three .5" purple and one .5" yellow accent buttons.